Many people want to add protein to their diets without a lot of fat and calories. High protein diets have been shown in medical nutrition studies to enhance weight loss and lower inflammation and cholesterol. This makes protein shakes a quick, easy meal or snack without the added sugar of protein bars. 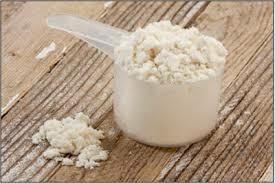 The most complete, absorbable and beneficial protein is whey. It is an excellent nutrition supplement. Consider why you want to add protein to your diet as there are several types of whey proteins and each has a purpose. Most nutritionally complete and absorbable protein that is an excellent source of essential and branched chain amino acids (BCAAs). These help prevent muscle breakdown and spare muscle glycogen, which provides energy to muscles during exercise. It has lactoferrin in it, which may reduce inflammation, promote the growth of beneficial bacteria, and inhibit the growth of bacteria such as salmonella and E coli. Whey protein concentrate – maintains the beneficial immunoglobulins and has some fat and carbohydrate so it tastes better. It’s less processed and maintains the healthy immune properties but contains lactose so should not be taken if lactose intolerant. Whey protein isolates – more expensive, it has quicker and better absorption, useful for body builders and for weight loss, can be used if lactose intolerant. Avoid heat processed protein powders processing of whey with heat can denature the protein and cause allergies. Allergies or Intolerance to milk products -Some people shy away from whey protein due to milk allergies and confuse milk allergies with lactose intolerance. An allergic reaction would most likely cause itching, rash, nasal congestion, runny nose, difficulty breathing, nausea, vomiting and/or abdominal pain whereas lactose intolerance would more likely cause gas, bloating, abdominal pain and/or diarrhea. Milk has 2 major proteins, casein and whey. More people are allergic or intolerant to casein and may be able to have whey protein, however some may be allergic or intolerant to whey and should avoid it. Rice protein is the most hypoallergenic protein but it is incomplete. An alternative is to use rice and pea protein since the blend is a complete protein and is less likely to provoke allergies or intolerance. Additives – Supermarket and nutrition store shelves are lined with protein powder choices, 99 percent of which are loaded with sugar and chemicals that don’t support your health goals. Buy a reputable brand – Some companies dilute the protein with melamine since protein isolates or concentrates are expensive and more complicated to produce. Lead has been found in some, however it is more often found in rice protein. Although the amounts are negligible, if you are having more than one serving, the exposure can be substantial.